Are you prepared for the cold months ahead? Making sure your home is ready first could help with that. Getting ahead and checking in on the parts of your home that keep you warm can help you save money, time and stress. Below we provide you with a home maintenance checklist to walk through and make sure you and your home are ready for winter. As we all know, in Minnesota it snows A LOT. Because of this, making sure your roof is free from any damage or decay is very important before the first snowfall. Your roof protects you from any leaks from the snow that could ruin the inside of your home. It’s important to clean your gutters before it gets too cold. 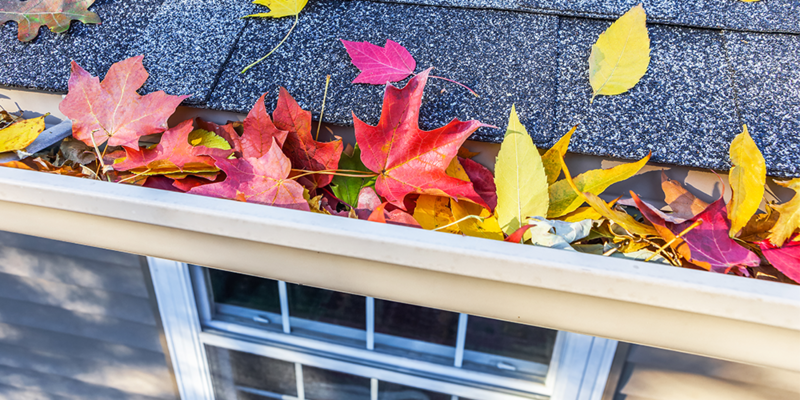 Throughout fall, leaves and other items can get clogged in your gutters and when it gets cold, these things can freeze over into ice dams that will cause some expensive damage. Making sure your air conditioning unit and/or heating systems are clear of debris is very important throughout the fall and winter. Every week or so, check the units for leaves, dirt or sticks. This will help regulate your airflow and increase efficiency as well. Cold air can easily sneak through cracks and crevices in your trim and siding or around windows and door frames. Try using exterior caulk to seal up any of these cracks. This will help prevent moisture from getting in your home and warm air from leaking out. READ MORE: Furnace Tune-Up: Do You Need One This Season? As you work through this checklist, if you find any issues or something that needs a repair or a replacement, contact us to schedule a service visit.